If you want to pamper your dog or cat, Paws 4 Thought Pet Tags’ exclusive collection of luxury chrome pet ID tags is what you require. 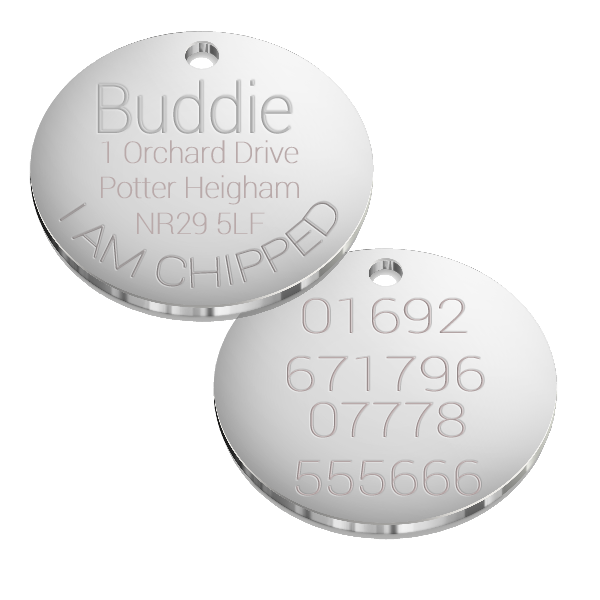 This selection of pet tags features highly-polished and shiny tags with a chrome finish. Our tags are thicker than a lot of pet tags available in the market today and are made available at economical rates. Our fabulous selection of tags comes in different sizes and thickness. They range from 1.2mm to 1.5mm in thickness and 20mm to 30mm in diameter. Whether you have got a Dachshund or a Mastiff, we have the perfect pet ID tag to suit your pet’s personality. 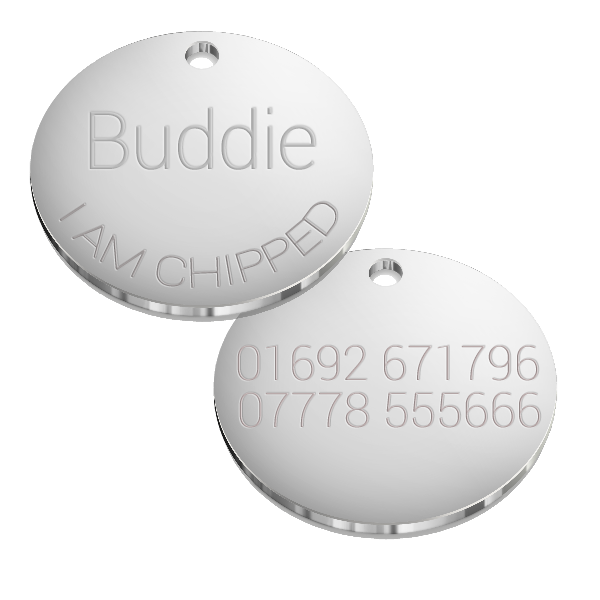 Our entire range of luxury chrome pet ID tags are fully customisable. You can engrave up to 5 lines on both sides of the pet tag. Our engraving practices include deep-inscription of the information provided by you, which prevents the letters from fading away easily. We make use of Helvetica and such other sophisticated and stark fonts that make for effortless reading of the words. Each and every one of our ID tags for pets comes with a high-quality split ring, which can be easily fixed to the collar of your furry friend. Luxury chrome pet ID tags ensure the safety of your pup, even when you are not around. Place your order today at Paws 4 Thought Pet Tags and make your pet feel super special.